Support Your Weight Loss Efforts! 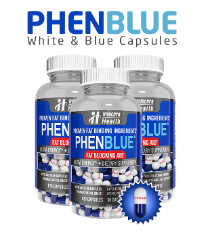 PHENBLUE is a unique and groundbreaking diet pill that combines ingredients in such a way that allows you to finally achieve results that previously felt impossible! Not only do you get the energy boost you have come to expect from a diet pill, but you also get improved focus, making this capsule a double edged sword in your efforts to fight fat. Combined, these ingredients improve your ability to stay on your weight loss track. The ingredients help you stay motivated and focused enough to stick to a healthy eating plan, and they also give you the energy to tackle the toughest fat-burning workouts. Caffeine, Organic Matcha Green Tea Leaf Powder, and Theobromine, which are each very well known in the weight loss industry. – Quality and effectiveness through the science-backed ingredients and USA cGMP manufacturing facility. Using PHENBLUE can help to support your weight loss efforts because it improves mental focus and clarity. This, when combined with the boost to energy levels, provides the optimal combination to help you achieve faster and easier weight loss. PHENBLUE is manufactured in the United States for Intechra Health Inc. 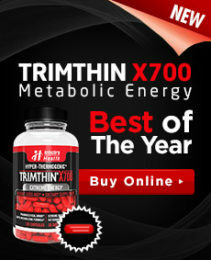 This well reputed company has developed this diet pill in a way that is unlike anything else available. Its entire powerful formulation is all packed into a white and blue capsule that is easy to swallow and that is taken only twice per day. This makes it simple to incorporate into even the busiest and most complicated daily life. PHENBLUE™ capsules have been developed to step above and beyond what other nonprescription options have been capable of achieving. When you’re ready to try a unique and effective diet pill that is unlike any other currently available and that is made with the highest quality ingredients, then it’s time for you to begin your diet with PHENBLUE!